While Americans hear mostly about gridlock and partisan fighting in Congress, the issues with strong bipartisan support often get overlooked. Inspiring American students to pursue science and math education is a goal shared by Republicans and Democrats. The bipartisan STEM Education Act, passed by the House last month, strengthens science, technology, engineering and mathematics education efforts at federal science agencies. It also, for the first time, expands the definition of STEM to include computer science. Computer science has become a crucial component of numerous industries, from banking to engineering to medicine. According to the Bureau of Labor Statistics, computing and mathematics are among the top 10 fastest-growing major occupational groups with a growth rate four times that of overall industry growth. The National Math and Science Initiative found that during the next decade, STEM job creation will grow nearly twice as fast as non-STEM positions. But STEM education is about more than job growth and ensuring good-paying careers for many Americans. The STEM students of today have the potential to develop life-saving technologies and generate new industries. We have to inspire today’s young adults to pursue these careers. For example, even with this industry surge and the high pay-scale for STEM graduates, very few women pursue STEM degrees. The Census Bureau reported that while women make up nearly half of the American workforce, only a quarter of them work in STEM fields. American students rank 21st in science and 26th in math. This must change for the country to compete globally. Now is the time to ensure our teachers have the proper training to prepare our students so they can succeed in a technology-driven economy. Whether we are educating students for advanced degrees in STEM or ensuring that young adults have the scientific and mathematic literacy to thrive in a 21st century technology based economy, the foundation for both of these begins in our K-12 schools. Strong support for STEM education in K-12 education will help our children attain good-paying jobs in high-demand fields such as manufacturing, health and biomedical industries, energy and information technology. The ability to educate and inspire is a quality that all teachers should possess. Good teaching requires an additional and special set of knowledge and skills. The STEM Education Act ensures the Robert Noyce Master Teacher Fellowship program is open to teachers working toward a master’s degree in STEM subjects. The program allows them to bolster their math and science skills in order to become effective teachers and encourages more teachers to pursue advanced degrees. The legislation also directs the National Science Foundation to continue to award competitive grants for out-of-school STEM learning experiences for both students and teachers. Career professionals in STEM fields should have opportunities to mentor the next generation of scientists, engineers and mathematicians. There are numerous companies, foundations and nonprofit organizations doing their own part to successfully promote STEM education. Innovative public-private partnerships are a great way to leverage private sector expertise. NEW JERSEY has long been a hotspot for innovation. Albert Einstein developed the theory of relativity here. The light bulb, the phonograph, robots and LCD — all of these and more were invented in New Jersey. Science, technology, engineering and mathematics, also known as STEM, are critical drivers to prosperity in this state. Fourteen of the 20 largest biopharmaceutical companies call New Jersey home. New Jersey boasts the best STEM public high school in the country and is home to more scientists and engineers per square mile than anywhere in the world. 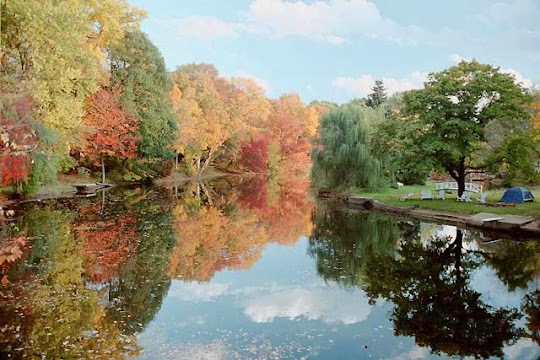 In short, New Jersey is highly educated and perfectly located, and we aim to keep it that way. The most successful and highest performing companies have incorporated technology into their core business models. Earlier this month, I joined the New Jersey Tech Council Conference for Chief Information and Information Security Officers and honored those members of our business community who use technology to protect their companies’ vital information. I have personally met with leaders of more than 700 companies, and the more I learn about New Jersey’s growing business community, the more I have come to understand that nearly every company is a technology company in one way or another, using it in their business or to connect people to their business. Think about how many businesses and organizations have an app, or an interactive website. Think about how we use the Internet to pay our bills and file our taxes. Think about how often we use our smartphones and social media in every part of our lives — for example, I just announced an initiative to increase social media involvement in our tourism industry. STEM is influencing every industry. In recent events with the agricultural community, I’ve learned how their work depends more than ever on technology. Once an industry that relied entirely on hand tools and tractors, agriculture now requires knowledge of hydrology, GPS technology, mechanization and animal and soil science. We’ve already begun seeing the rise of urban farms and greenhouse agriculture growing over once-blighted fields. We recognize the role of STEM leadership in New Jersey and in the United States, but there is so much more to do. This year, the week of March 9 marked New Jersey’s inaugural STEM Week, highlighting how uniquely important STEM careers are to this state. During that week, I attended a meeting of the New Jersey STEM Pathways Network, which has been spearheaded by Secretary of Higher Education Rochelle Hendricks to increase collaboration between community organizations, higher education and industry to prepare our students for the highly skilled STEM jobs that will be waiting for them when they graduate. In the past decade, STEM jobs outpaced non-STEM jobs 3-to-1, with 80 percent of the fastest-growing occupations in the United States dependent on STEM knowledge and skills. Having a strong STEM education and workforce system in place will continue to drive New Jersey’s competitive edge. Our next step needs to be creating a system that supports both men and women with an interest in STEM. While girls in Grades K-12 are taking many high level math and science courses at the same rates as boys, there is a significant gap in the number of young women pursuing and receiving STEM degrees. On the national level, women receive far fewer computer science, engineering, physics and mathematics degrees than men, and the gap is even wider when it comes to minority women. Women comprise 48 percent of the United States workforce but fill just 24 percent of STEM jobs. The employment gap is frustrating enough, but it becomes even more so when you consider that the gender wage gap in STEM fields is significantly smaller than in other occupations. What that means is that supporting women in STEM is not only important to our efforts to remain innovative and educated, but must be an integral part of the progress we make toward greater economic success and equal wage opportunities for women here in New Jersey and across the nation. I was proud to address both STEM Week and Women’s History Month in my kick-off of the Million Women Mentors program in New Jersey. As we remember the leaders of the past, we prepare the leaders of the future by encouraging more high school girls to consider STEM studies in college, more undergraduate women to pursue STEM degrees, and more women into STEM careers generally. We have committed to finding 6,000 mentors over the next three years — that’s three or four per municipality each year. It’s doable, and it’s necessary. I ask New Jersey’s teachers, researchers, business leaders and anyone with an interest in STEM to invest their time and expertise to help New Jersey remain competitive, achieve gender parity in the workplace and show young women the value of a STEM career. This year’s inaugural STEM Week showed us great things about the state of STEM in New Jersey, but the biggest thing we learned is that we need more than a week to keep STEM in mind. We need to highlight STEM careers and encourage our young people to pursue them every week, all year long, to prepare our children and our state for a bright future. Kim Guadagno is lieutenant governor of New Jersey. On March 21, the Cape May County Library held an all-day event called Maker’s Day. Locations all throughout New Jersey, including Atlantic County and Burlington County, have committed to be a part of Maker’s Day. The goal of Maker’s Day, according to their website, is to enhance community engagement and develop connections among New Jersey residents by collaborating with multi-type libraries, museums, small businesses and others to promote and explore opportunities for entrepreneurship, innovation and hands-on learning experiences. Some of the objectives include celebrating the culture of making in New Jersey, promoting the role of N.J. libraries in supporting makers and maker culture throughout the state, and fostering collaboration between makers and makerspaces across New Jersey. The programs and demonstrations will provide STEM and DIY-based learning. 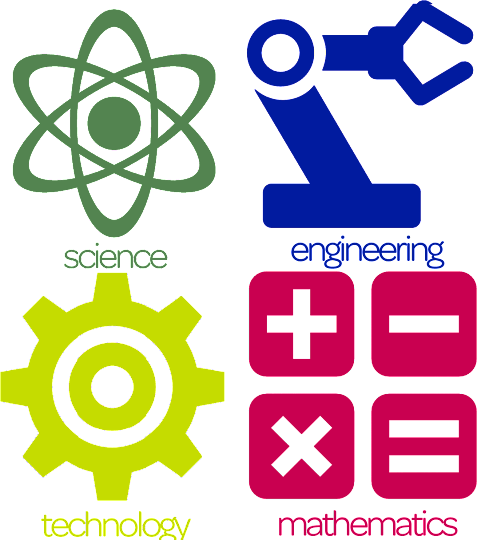 STEM is any job that requires specialized knowledge in science, technology, engineering or math. The term “maker” refers to people who create and innovate with their hands through workshopping. They produce things such as robots, computer programs, furniture, etc. Learning from these makers can be a great way for others to learn and can motivate someone else into becoming a maker and creating things on their own. DIY has been popular since the creation of Pinterest and people are eager to learn how to make crafts for themselves. The maker movement is a more contemporary take on that because it deals more with technology and electronic based DIY projects. Robotics and 3D printing are included in maker culture, but so are metalworking and woodworking. There were events being held for all ages. There were 3D design challenges, an aviation station, Minecraft, quilting demonstrations, and a make your own light bulb station. The 3D design station allowed eager learners to design their own cereal box. They were given an example cereal box and instructions on how to build their own. At the aviation station, anyone interested could learn how to fly a drone, and then look on a computer screen to see what was captured. Computers were all set up with Minecraft for computer gamers, and sewing machines were set up for a demonstration on quilting. While there are instructions for these demonstrations, and the hands-on part of the day, learners were encouraged to think outside the box and use their creativity to create something amazing. The program leaders were watching over the people who attempted these activities, to make sure that everything was being done safely. Once the projects were complete, participants got to take their creations home with them. Aside from the interactive aspect of the day, there were also demonstrations going on all day. Earlier in the day there was a Lego robotics demonstration, followed later by LittleBits, which are electronics kits to learn and build with. It allows people to make prototypes and they come in different kits that you can purchase to make as many as 18 modules. 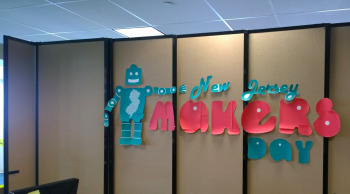 LittleBits is also a sponsor of New Jersey Maker’s Day. The Council knows that strong STEM states lead the world in developing life-saving medicine, protecting the environment, and driving the innovation that improve all of our lives. Unlike other states, New Jersey has the people, institutions, and infrastructure that drive research and development. What we don’t have is widespread public awareness of the fact that it was New Jerseyans who gave the world the light bulb, the three-way catalytic converter, and the lifesaving drugs Januvia and Gleevec. Our state is now doing more to shine the spotlight on the people and institutions that not only make New Jersey a STEM powerhouse, but a leader in making the world a better place. Students at the George Washington Carver Elementary School in Newark will meet on Thursday, March 19, with 150 Verizon employees, who will visit the school to lead several hands-on activities focused on STEM - science, technology, engineering and math - to engage the students and to teach them the value of creativity, critical thinking and teamwork. According to a release, the Verizon participants in the day-long volunteer project - organized by Jersey Cares - are members of a group of newly hired college graduates who are part of the Verizon Leadership Development Program. The volunteers will spend time on several revitalization projects at the school, painting STEM-themed murals in the school’s new science room, brightening the school’s blacktop area with line games and enhancing the school’s courtyard by assembling new raised planter beds for the gardening club. The volunteers will lead a workshop where students can learn about solar energy, create a solar oven out of a pizza box, and assist students with building a robot that vibrates, spins and holds markers to doodle a drawing on its own. The volunteers also will run a “Fit and Fun” workshop to engage students in active games. The event was organized by Jersey Cares, a Newark-based nonprofit organization, and the Verizon Foundation. OVIEDO, Fla. — Melissa Saelzer thinks she has found one way to attract more girls into technology careers: fashion. The 32-year-old Oviedo resident has started work on a line of clothing embedded with sensors, lights and other components she hopes will get girls curious about how they work. She expects her efforts will be just as much a recruiting tool as they are a fashion statement. Statistics point at an imbalance of men and women in STEM fields. A 2012 National Science Board study reported that despite 47 percent of the population being women, they make up 27 percent of STEM workers. Saelzer, a systems engineer at Lockheed Martin, said she is excited about jumping into the growing wearable-technology field with her clothing items. 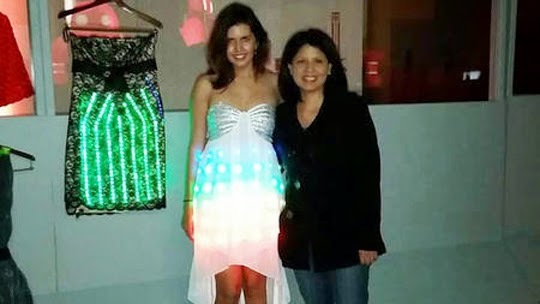 Among them are a dress lined with flashing lights timed to music and a lace nightgown embedded with lights that allows the wearer to set its color, brightness and other qualities. Saelzer said getting girls interested in STEM is a matter of showing them that it applies to many industries, including fashion. “This is just a small part of it,” she said. Shayla Mark, a STEM educator in Orange County Public Schools, says keeping girls interested in STEM becomes tougher as they grow older. Since 2012, Mark has run Mount Dora-based Stem Chicks Inc., which offers workshops and educational opportunities for girls and women. She said Saelzer’s approach can be part of the solution. However, Mark says all of those efforts will only help close the gap between women and men in STEM. Chief among them is highlighting and promoting women who already have made it in science careers. Saelzer could be one of those examples. Before she joined Lockheed in October 2012, she worked as an intern in the space industry and as an electrical engineer at General Motors. Several meetings are set to show off her connected clothing coming up. But, ultimately, Saelzer said her goal is to bring girls and women into the STEM conversation. NEW BRUNSWICK – Sciences have always played an important role in the history of Douglass Residential College at Rutgers University-New Brunswick, all of its incarnations and its women. In recent years, this importance has become an emphasis, said Assistant Dean Elaine Zundl, who also is director of The Douglass Project for Women in Math, Science and Engineering. 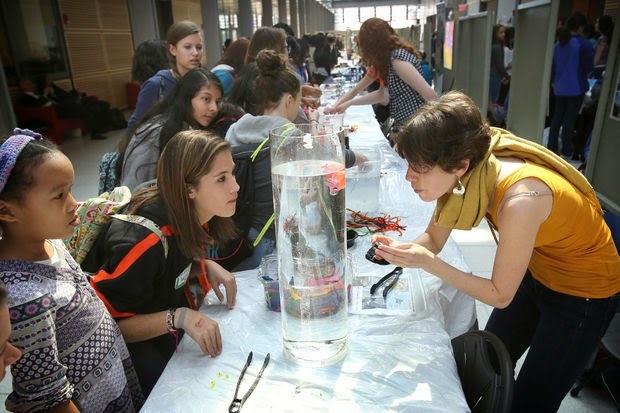 While Douglass caters to students' interests in a wide variety of studies, it offers a specialization for women in science, technology, engineering and mathematics (STEM) majors. Since her first appointment as dean in 2010, Jacquelyn Litt has renewed the focus on women and STEM majors, Zundl said. Since its inception as a college in 1918 as the New Jersey College for Women, the institution, now known as Douglass Residential College, has focused on giving women an education that will take them forward in life. At a time when a "woman's place was in the home" was commonplace, Douglass offered majors in sciences, including chemistry, Litt said. "Douglass and science has had a remarkably strong and exciting history," she said. "It is now the only major public research university with a women's residential college and it also is dedicated to scientific advancement of women and advancement of women leaders." And in the past few years, that interest in STEM majors for Douglass women has exploded, Zundl said. "In terms of student engagement, we have more participating in Douglass that are STEM majors," she said. In 1986, at the inception of The Douglass Project, the college had 180 students in STEM majors, Litt said. Nearly 30 years later, Zundl said, half of the 2014 fall's incoming class were STEM majors. "That is about 250 new STEM students this year," she said. 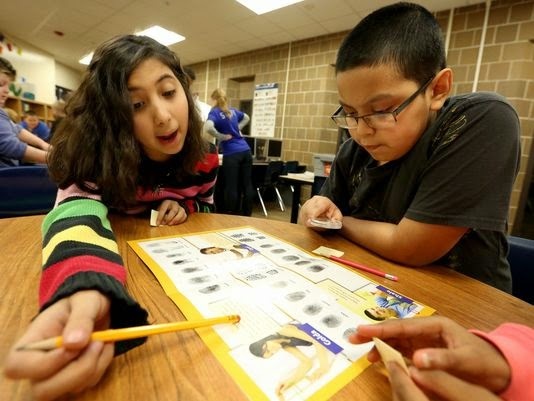 "Overall, about 800 to 1,000 students participate in The Douglass Project each year." The Douglass Project helps women who are interested in the STEM fields excel and reach their goals. One of the first of its kind in the country, Litt said, The Douglass Project was created with retention and gender gap in mind. Partnering with Rutgers' science and engineering schools, The Douglass Project offers custom, professional and leadership development programs designed to advance women in STEM. Included in this experience is Project SUPER, a program that offers monthly workshops on careers and opportunities, an introduction to scientific research course, a STEM Research Experience stipend and mentoring support. These programs help create support systems that encourage women to pursue their educational goals and eventual STEM careers, Zundl said. "When they get to Rutgers, we make sure that they get a peer mentor, they are put in touch with faculty in their department. We make sure they have access to research programs," Zundl said. "We make sure that they are learning about what a STEM career will be like so they are more likely to stay." A sophomore physics major, Jennie Coulter, of Manasquan, enrolled in Douglass at the end of her first year. She credits the support of The Douglass Project as having a positive impact on her experience as a student and a woman. "I feel that the responsiveness of The Douglass Project staff members helped me find my place at Rutgers," she said. "The support for women in STEM not only gave me the chance to become involved in the research community at Rutgers but also has allowed me to connect and guide underclassmen STEM students. 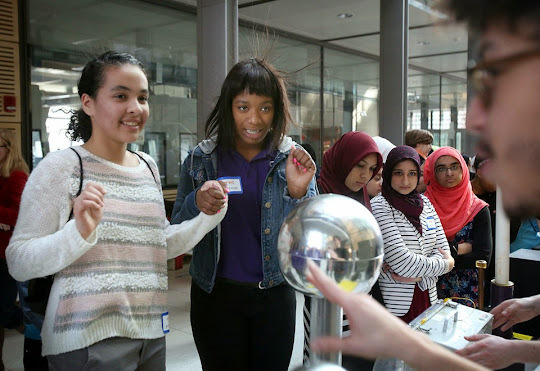 I think the leadership skills I've gained through The Douglass Project programming will make me better able to support younger women throughout my career in physics." Initially, Coulter said, she had doubts about her ability to compete in the physics field. It was support from Douglass that gave her confidence. "It gave me the ability to understand my academic strengths and also connected me with women in similar majors who understand what it feels like to go to lecture and sometimes be one female in 20 students," she said. "Knowing that there are other women with the same experience has been confidence-inspiring." Coulter said she was especially excited about the help Douglass gave her in finding research opportunities. As the recipient of a New Jersey Space Grant Consortium Academic Year Fellowship, Coulter does research on solar materials with Dr. Dunbar Birnie of the Materials Science and Engineering department. "The kind of support that we offer our students while they are engaged in research is very unique," Zundl said. "We personally match the students with the professors based on common interests and the students' prior knowledge. 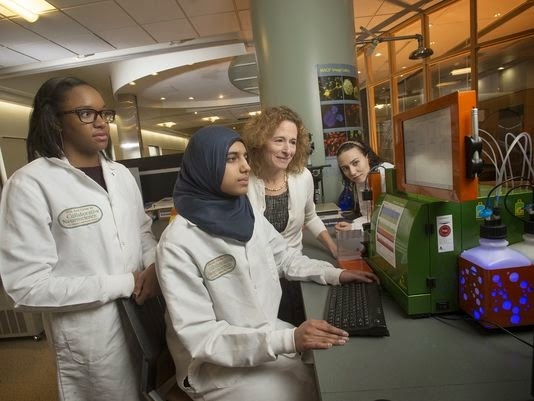 Because of the mentoring we do and the support program, they are paired with a faculty member that makes sure that they are getting the most out of the experience in the lab." Sophomore Ameema Zubairi, of East Brunswick, who is majoring in molecular biology and biochemistry, knew she wanted to do research as soon as possible but wasn't sure how to start. "The Douglass Project provided me with a platform to achieve this goal," she said. "I participated in Project SUPER. I even had the opportunity to present my research at a Poster Session with all of the stipend recipients where professors and other guests were invited to learn about our projects." Now as a STEM ambassador, Zubairi works with a group of student leaders to implement professional development workshops and programs, networking opportunities and social events for women in STEM. She also had the opportunity to volunteer with the Fourth Grade Science Stars program and teach students from New Brunswick science concepts in a fun and interactive way. "One of the reasons I was able to achieve this much and continue to actively pursue a career in STEM is because of the valuable advice I have received from the advisers at The Douglass Project," she said. "These advisers are truly invested in your success and constantly strive to provide you with resources that will lead you to it, while giving constant encouragement to attain your goals." Under the umbrella of The Douglass Project are living-learning communities that create cohorts of women studying the same topical area, such as engineering or environmental science, Zundl said. "These really get women engaged and, in the first year of study, they have established great relationships with other women in their majors that help them to persist to graduation," Zundl said. Under Litt's time as dean, the Douglass Engineering Living-Learning Community was created in 2012. Located in a dorm on the Busch campus, this community provides engineering students with the chance to live together and take a hands-on engineering course together with a Rutgers faculty member. "The first year, this involved 20 students living together and supporting each other," Litt said. "All of them asked to continue living together the next year. The chancellor found us a dorm. Now, they enrolled for a third year and all wanted to be together again. Now, we have 70 women engineers all living together in the Douglass Engineering living-learning community excited to be engineers." "We are almost at the point of having to turn people away," she added. "This year, we had more than 30 first-year students join." There also is the Bunting-Cobb Residence Hall on the Douglass campus that offers a similar community for women in science and offers graduate mentoring, tutoring, study groups, specialized workshops and a special in-house Exploring Careers in Science course. A future cohort program for computer science students also is in the works, Litt said. "These learning-living communities build in a sense of community, as well as build their own identities in the field," she said. Litt said that data suggests that Douglass students make a wise choice. "Our partnership with Rutgers' School of Engineering has increased both the recruitment and retention of women engineering students to record levels," she said. "Research has documented that Douglass students exhibit higher levels of global awareness and engagement than do Rutgers women generally." There is a need for women in STEM majors and STEM careers, Litt said. According to the state Department of Labor Workforce Development Division of Workforce Research and Analytics, there will be a need in the New Jersey workforce for qualified STEM professionals. By 2022, the department anticipates that 22 percent of the projected employment will be in computer and math (15 percent) and architecture and engineering (6 percent). Nationally, job demand for engineering and computer science also is expected to grow, Litt said. "We know there is a problem with women being underrepresented in most fields of STEM," Litt said. "It is a problem in New Jersey and nationally. But, we are not seeing women, especially minority women, rise up through the ranks in the field. In the last few years, The Douglass Project targeted the fields of engineering computer science and chemistry. Our students worked with companies such as PSE&G, AT&T and Verizon. "They want our women students," she added. Women undergraduates from any Rutgers–New Brunswick school can enroll, and current Rutgers students can also join Douglass anytime from their first year through their third year. Douglass pay the Rutgers tuition. For New Jersey students (tuition, fees, room and board), it is approximately $25,500; for non-New Jersey students it is approximately $40,300. Douglass traditions include the annual "moving-up-of-the-classes" Sacred Path celebration, Yule Log ceremony, Fall Convocation welcoming new students and their families, and Convocation, a ceremony for graduating seniors that takes place the day before Rutger's commencement. All Douglass women take the Women's Leadership Course, a three-credit course that helps students develop an awareness of themselves as women in today's society. For more information or speak to a representative of Douglass Residential College, contact the Office of Recruitment and New Student Programs at 848-932-9500 or visitdc@echo.rutgers.edu. For information about admissions to Rutgers University, visit admissions.rutgers.edu or call 732-445-4636. John Henry, New Jersey School Boards Association’s Science, Technology, Engineering, and Mathematics (STEM) and Sustainable Schools specialist, discussed the topic of "Student Achievement through an integrative STEM Approach" at the Boonton Township Board of Education meeting on Wednesday, Feb. 25. Henry was asked by the Board to give this presentation because in the beginning of the school year, when the Board was writing goals and objectives, the topic of forming a STEM lab in the school’s library was brought up. In the light of this, the Board is searching for a better understanding of the program and its implementation. No decisions have been made as to whether the school will proceed with the program. Henry began his presentation by saying "when employers were asked to identify job applicant’s common deficiencies, most industries reported a lack of mathematics, computer, and problem-solving skills." This new approach to learning will close the gap on these deficiencies. 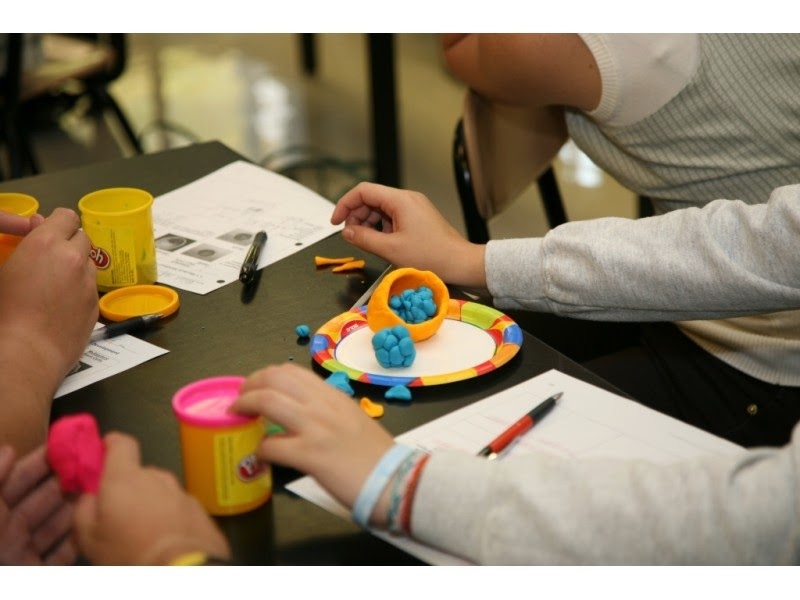 The integrated STEM approaches to learning are "design-based learning approaches that intentionally integrate the concepts and practices of science and/or mathematics education with the concepts and practices of technology and engineering education. It may be enhanced through further integration with other school subjects such as language arts, social studies, art, etc." When it is integrated with the arts, it is called STEAM. The approach requires students take an active part in the learning process. It is a hands-on approach whereby students apply their know-ledge to problem solving in real-world situations. The iSTEM literature says, "Students need to practice solving problems and making informed decisions, rather than merely warehousing collections of facts. 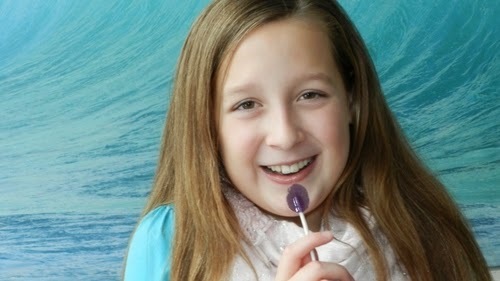 Research tells us that students learn best when encouraged to construct their own knowledge of the world around them." It is a method that fosters applied academics rather than just the theoretical. There are open-ended questions and activities related to topics that allow students to brainstorm, read, demonstrate, discuss, use technology, practice doing, and teach others. An important question was raised by Board member Adrienne Charlton. She asked, "How does this approach fit in with the Common Core curriculum?" It was explained that Common Core dictates what is to be learned but not how it is to be learned, and teachers would not be expected to keep to the letter of their lesson plans for the day. It allows for creativity and flexibility. RVS parent Melissa Signore, regional curriculum coordi-nator for Pascack Valley Regional School districts, has been involved in iSTEM for three years and spoke to the Board on the benefits of such a program. Those of us in New Jersey know that our state is a stronghold for the nation's science technology engineering mathematics (STEM) economy. According to the Research & Development Council of New Jersey, the Garden State is home to an incredible intersection of industry, academia and government entities, yielding "the highest concentration of scientific professionals in the nation." It is no surprise, then, that Gov. Chris Christie is publicly recognizing this by naming March 9-13 STEM Week. However, New Jersey's important role in STEM may not last. As the council rightly noted, by 2018, New Jersey will need to fill nearly 270,000 STEM jobs. 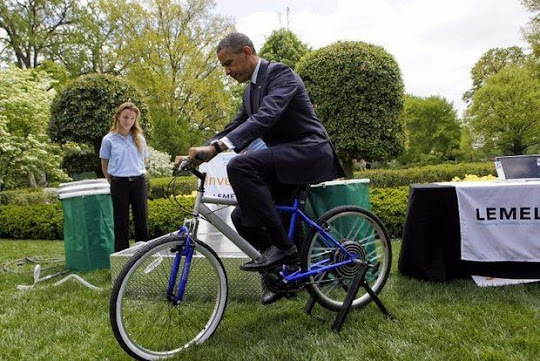 The need is critical in order for us to remain a national STEM leader. As urban communities like Newark and Jersey City continue to struggle with high unemployment rates, the time is ripe to focus our efforts on helping train, prepare and employ unemployed and underemployed individuals in high-skill, STEM jobs. Preparing for such jobs is not only dependent on learning necessary technical skills, but developing the soft skills and hands-on experience needed for success to obtain and retain high-skilled jobs in competitive markets. Various workforce development programs throughout the nation strive to build coalitions and partnerships with corporate entities, higher education institutions, community-based organizations, and government agencies in an attempt to fill this gap. In our own program, I have seen young adults who have gone from part-time, low-wage work to permanent high-wage Information Technology employment in a matter of months. I have seen veterans who were struggling with adjusting to civilian life go from feeling hopeless to hopeful, receiving IT positions that leverage both their military experience and tech training. Our program lifts people up, fosters their inert drive and curiosity, and helps set these adult learners in a new direction with higher wages, higher skill, and opportunity for upward mobility. Our program literally changes lives while helping meet the high demand for IT jobs in our community. I know it is possible for us here in New Jersey to fill the widening skills gap by preparing our veterans, young adults, and other individuals in our urban communities for rewarding careers in STEM. It is up to all of us together to make it happen, make the connections, provide the training, and fill in the skills gap. We need to believe in the power of our young adults who want a chance to enter the tech industry and our veterans who want a chance for a new career. I challenge all employers, training programs, and community organizations to make STEM job training and preparation a priority to help fill the state's rising demand for high-skill employees while reducing our high unemployment rate. Join us in our effort to train our state's future IT leaders. Together, we can keep New Jersey a national leader in STEM and help provide life-changing opportunities for our state's unemployed and underemployed individuals.